Maybe I'm something of a glutton for punishment, but we're going to run another installment of the successful IEEE Key Managment Summit (KMS). The focus of KMS is on the challenges of securely managing cryptographic keys that are used to encrypt data. Last year, we held the first KMS 2008 with the 2008 MSST (Mass Storage Systems and Technologies) symposium (slides and mp3 recordings are still available for download). We had 75 attendees, which was an excellent turnout for a technical and highly-focused event. Results from surveys also showed that the attendees were happy with the event. 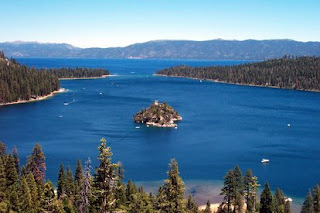 The next Key Management Summit (KMS2010) is scheduled for May 4-5, 2010 in Incline Village at Lake Tahoe, NV. It's a beautiful venue in the picturesque mountains near Reno, and the prices are quite reasonable compared to Baltimore last year and San Diego the year before. Already, the program committee has found excellent speakers for about half of the slots. We're still looking for more proposals and the deadline for submitting proposals is December 31, 2009. So far, we have two proposals from NIST, one from the NSA, several from standards organizations that are involved with key management (IETF, OASIS, IEEE to name a few), leading banks, and others. If you'd like to submit a proposal, please send an brief abstract to chair@keymanagementsummit.org for consideration by the program committee. I'm excited that we'll be able to put together an even better program than last year, and hope to see you there!